Ms. Gaul has been the newspaper and yearbook adviser at Wahlert Catholic High School since 1980. 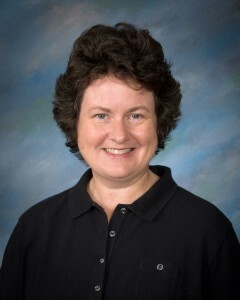 In 2011, she began also teaching the broadcast class, WCTV. Ms. Gaul also teaches College Writing 1 and 2, a dual-credit course in conjunction with Northeast Iowa Community College. When she's not persuading and coercing students to write, Ms. Gaul can be found taking pictures at various school events, meeting the demands of her cat children, baking goodies which then need to be given away, and singing at Sunday masses.